Robust blow moulded folding tables. • Lightweight and portable. • Ideal for home, office and school. • Tops made from dent, scratch and moisture resistant blow moulded high density plastic. • Tables hold up to 500kg evenly distributed. 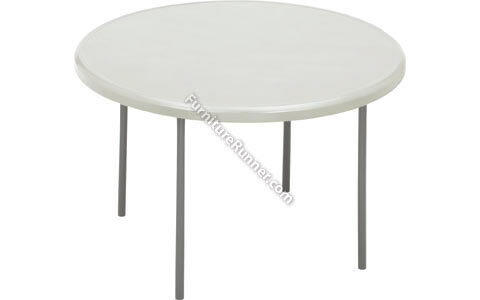 This table is suitable for use in bistro and break out areas.